Paul Kidby, Sir Terry Pratchett's artist of choice, provided the illustrations for The Last Hero, designed the covers for the Discworld novels since 2002 and is the author of the definitive portfolio volume The Art Of Discworld. If Terry Pratchett's pen gave his characters life, Paul Kidby's brush allowed them to live it. 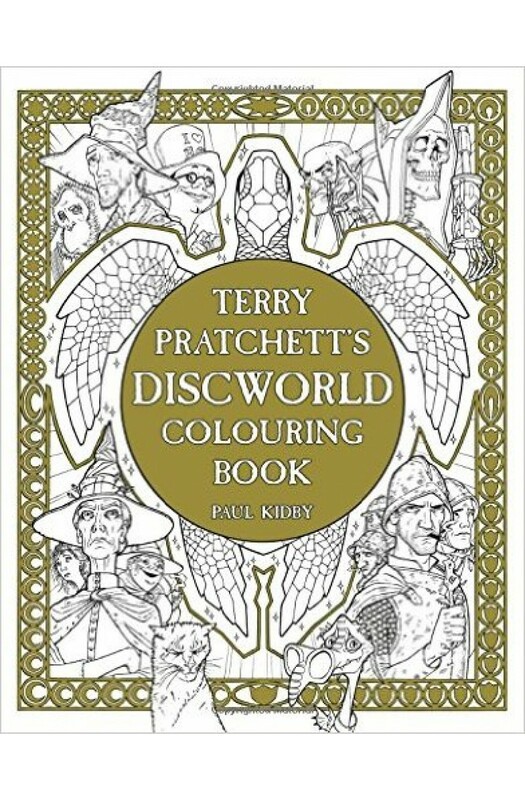 Containing black-and-white line drawings based on his hugely popular artwork as well as original pieces produced exclusively for this book - featuring such iconic Discworld personalities as Granny Weatherwax, Sam Vimes, Archchancellor Ridcully, Rincewind, Tiffany Aching and, of course, DEATH - Terry Pratchett's Discworld Colouring Book is required . . . reading? . . . for all Discworld fans.